Please select an option Black Charcoal Grey Pink Silver Tan Please select a color. Such a smart and fun phone case that protects your phone and your credit cards...... Reminds you of the magical phrase from the childhood story of a magic cave that opens with the words Open Sesame and reveals the treasure trove full of valuable amazing things... 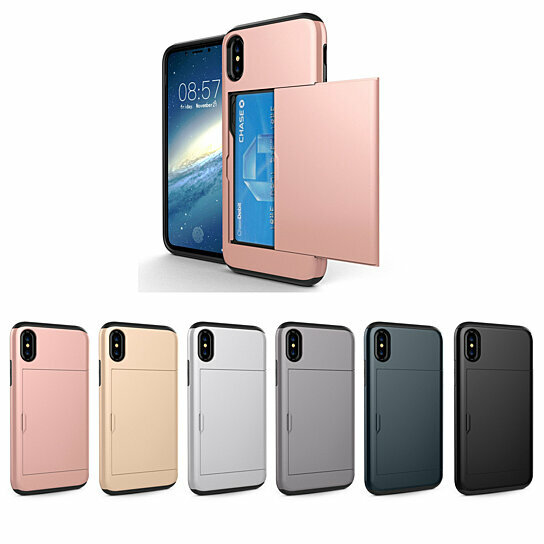 This phone case shields your phone and comes with a hidden feature that stores your credit cards not noticeable to others but you can slide it open to access them! It comes in Black, Charcoal, Grey, Pink, Silver, and Tan.